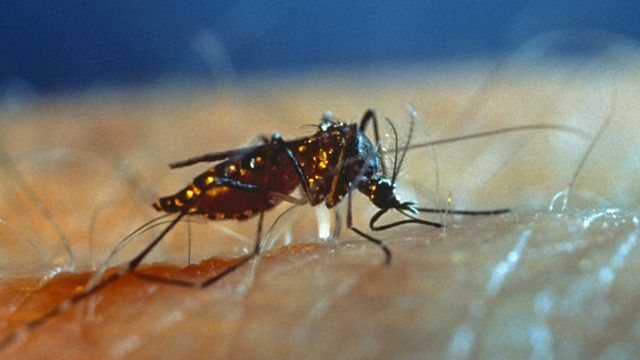 BBC World Service - More or Less, Have Mosquitoes Killed Half the World? Have Mosquitoes Killed Half the World? Has the mosquito killed half the people who have ever lived? Also, are 96 elephants a day killed in Africa? And, are left-handers more likely to be criminal masterminds? Have mosquitoes been responsible for the death of half the people who have ever lived? Tim Harford assesses the claim. And he looks into a charity’s statistic that 96 elephants a day are being killed in Africa. Plus, a return to the subject of left-handers – could it be true that they are more likely to be criminal masterminds? Is the World's Population Growing Out of Control?